The Chalet Hotel Sapinière is a popular choice with our guests, who thoroughly enjoy its relaxing atmosphere, excellent food and the friendly service from our Chalet Hotel staff. Set in a quiet and convenient location, just 2-3 minutes' walk from Chamonix's attractive centre with its wide range of shops and facilities, the Sapinière is ideally placed for an Alpine summer holiday. Many rooms look over the Savoy meadows to the majestic snow-capped Mont Blanc - "the best view in all Chamonix!" The hotel's attactive dining room has semi-circular bay windows with stunning views of Mont Blanc. Here you will enjoy our great choice of menus and complimentary quality wines for dinner. The atmospheric bar/lounge welcomes you for your pre-dinner aperitif and canapes or to relax after dinner over coffee. The sun terrace offers the same stunning Mont Blanc views as the dining room and is in an ideal spot in which to relax after a day walking or sightseeing. Reception, lounge with bar, dining-room with picture bay-windows, sun-terrace and shady garden. Main entrance, reception area, lounge, bar & dining room. Room 41: Triple (sleeps 2-3) with twin beds and a single bed in the entrance hallway, with bath/wc/, balcony/Mont Blanc View. Room 35-44 are in the wing with the lift. Room 1-32 are in the other wing. †Breakfast hot option, afternoon tea and dinner is 6 days per week. Chalet hotel staff have one day off per week when breakfast only is provided, giving you the chance to eat out at a local restaurant one evening. We update Chalet Hotel Sapinière's details often, but facilities do change. e.g. some extras listed by the supplier as "free" or included might only be for the first time you use them, or for one time per party, then charged for further use. If any specific feature is essential to your holiday, make sure you ask us to confirm the details of it before you book your holiday. This package holiday to Chalet Hotel Sapinière in Chamonix, France departs Wednesday 15th May 2019, for a 7 night stay on a "catered chalet" board basis. A local tourist tax (Taxe de Sejour or Kurtaxe) is levied by many councils in European resorts. It varies by standard and type of accommodation and is age dependent, so not everyone is charged. It's not included in the basic price of your holiday and is usually paid locally. For reference, the average charged in winter 15/16 was between 50p and £2 per person, per night. 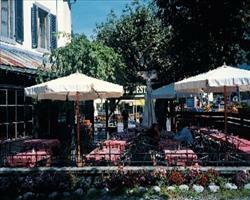 Gustavia Hotel Chamonix France, Gatwick to Geneve-cointrin Airport 15th May. 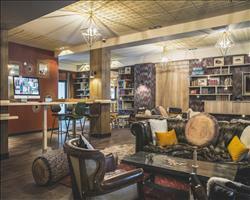 Prieuré Hotel Chamonix France, Gatwick to Geneve-cointrin Airport 15th May. 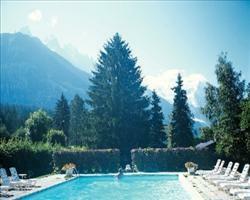 Excelsior Hotel Chamonix France, Gatwick to Geneve-cointrin Airport 15th May. 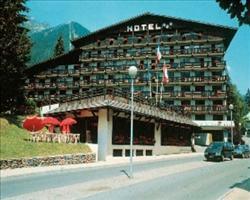 Hotel Les Aiglons Chamonix France, Gatwick to Geneve-cointrin Airport 15th May.